Hey guys! 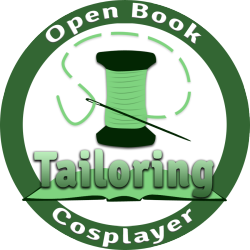 I decided to transition back to this site in an effort to make more of a “portfolio” of my completed costumes and notes. I still love my tumblr, but I’ve got a lot of clutter on there and not so many completed costume pics. I’ll probably post more in-progress stuff for the most part, but completed pictures and costume notes will be compiled here in addition to general blogging. Keep an eye out for updates! I hope to get some up this weekend. Previous Previous post: Moving time!